Support, encourage, and spread love with a small gift. Forafriend.com is a new way for missionaries to share their mission, passion, and everyday life, and a new way for believers to discover and become connected with missionaries around the world and their work. Forafriend enables people to encourage and support missionaries financially by giving for small, specific things that the missionaries themselves have indicated they use regularly in their relational ministry, along with a personal message. 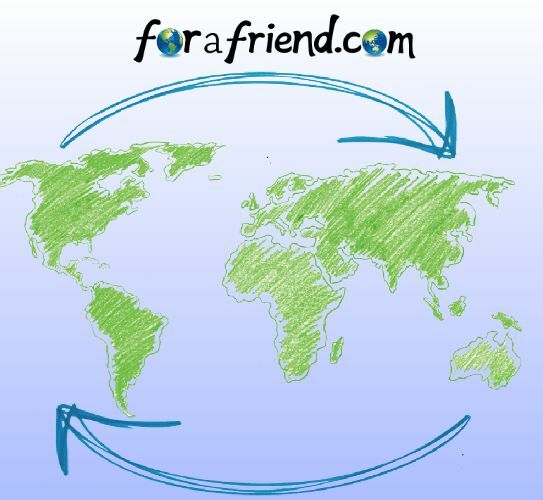 Forafriend provides tools for missionaries to connect with their forafriend supporters. Forafriend is committed to the great commission and supporting and encouraging those who are living it out around the world, while also protecting security & privacy. info forafriend com for questions or more information. By the time we get to chapter 4 of his book, Nehemiah has quite a bit of momentum mustered. The wall is going up steadily and Nehemiah’s forces are attracting more than their share of jealous hearts. Some neighboring cities & tribes, for motives known only to them, begin taking shots at Jerusalem… and more specifically, at Nehemiah in particular. “What are those feeble Jews doing?” (vs. 2) — Translation: Yikes, they’re making us look bad. “Will they finish in a day?” (vs. 2) — Sarcastic way of trying to conceal their jealousy for Nehemiah’s efficiency. “What are they building? If even a fox climbed up on it, he would break down their wall of stones!” (vs. 3) — Sarcasm for: whoa… it looks strong. 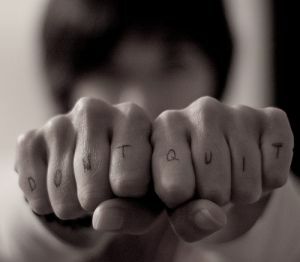 But the thing is, Nehemiah didn’t quit. He rallied the troops with visionary speeches. He worked with advisors to create credible defensive strategies. And he kept himself pumped up with prayer to the Father. He kept his eyes focused on a positive outcome, refusing to give way to those seeking to undermine the campaign, both from within and without. So I’ve never forgotten those words. Sometimes, when things are getting tough, I just say to myself, “One more breath; one more day. We can do this.” And before I know it, we’ve gotten through another day. We’ve taken another breath. Now I realize why not everyone decides to be a Chief Executive Officer of a non-profit. Sometimes it takes *energy* to forge on. Belief. Positive faith… the same kind held by Nehemiah in chapter 4. So, if you truly believe your project is of God, don’t give up. Nehemiah didn’t; and neither should you. 11) The Backpage: Where Do You Turn In Midst Of The Storm? Where do you turn in the midst of a storm? What books, what songs, what scripture passages have meant the most to you when things have gone differently than you hoped? How do you survive? Please click “Comments” under this item on the web and give your input on how to make it through the storm. For your quick reference, below are the words to the “Lifehouse” song that has meant a lot to my son. Click the big arrow immediately below to see Jason, the leader of Lifehouse, performing the song live. 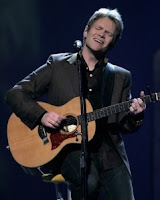 After Tony’s comment below, I remembered this song by Steven Curtis Chapman. Speaks directly into this topic. Thanks again for your input. Thanks to Commenter Ed, from Topeka, who suggested “A Living Prayer” by Alison Krauss and Union Station. Are you encouraged by hearing what God does or how other believers see victory when trials come their way? GET COACHING SKILLS TRAINING — Pick up a certificate at Core Coaching Skills and, in the process, pick up a number of really helpful competencies. This 300 page PDF file includes all the edited and transcribed workshops presented at the 2005 conference at Liberty University. The site also includes links to the free video workshops themselves and directions on how to order the DVDs for your library. The 21 workshops are by the top names in internet evangelism. it is a compilation of articles and links that address the convergence of media in the word and strategies to use media more effectively. SPONSOR BRIGADA; HELP SOMEONE WHO CAN’T AFFORD IT — We send Brigada free… then ask questions later. How can we do business that way? Only if churches, missionaries and individuals like you pitch in to help us keep Brigada going out the door. Just click “Donate“. FLORIDA WELCOMES YOU FOR TENTMAKER TRAINING! WOULD YOU PROVIDE FUEL FOR THE FIRE HERE? I grabbed that one and promptly turned it into a powerpoint I had to churn out the same day. Pretty practical. They give away one per month, obviously with hopes you’ll eventually decide to buy one or two. Check it out. *** Turn off “fancy characters” in Word (Tools|Autocorrect in the “Autoformat” tab). Some of our audience still reads in simple text. *** Please avoid “classified ad language”. Make it like a real conversation instead of like you’re selling a used car. *** Remember we have an int’l audience. Communicate to the *world*, not just to your own homeland. *** Give a web URL and an email address for follow-up. Upcoming Boot Camp dates include Fayetteville, AR – Feb 1-2nd, Colorado Springs, CO – March 26-27th, Jacksonville, FL – April 26-27th, Bellflower, CA – June 4-5th. Register online today. FLORIDA WELCOMES YOU FOR TENTMAKER TRAINING! — GLOBAL Opportunities is running its first annual tentmaking course in Fort Myers FLA and you need to register soon to reserve your spot. If you are considering going overseas with your profession or running a Kingdom business, you need to take this training. It is fairly simple to find a job or to start a business but you will need specific ministry skills for the hard places. 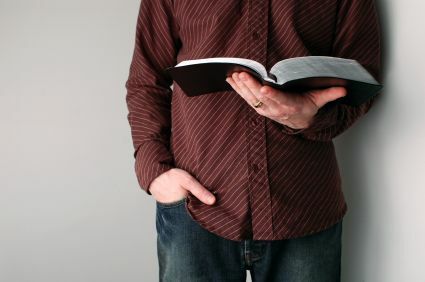 Check out their course outline at their website and you will see that it has been designed with purpose and from the experience of hundreds who have gone out there and increasingly left behind house churches. If the Florida course dates do not fit, there are many others coming up. WE’RE SO THANKFUL… — Thanks to the anonymous donors who gave $25, $10, $10, and $100 to spur on Brigada to good works. Gulp. What an awesome and sobering responsibility it is to be in this work. Thanks once again. WOULD YOU PROVIDE FUEL FOR THE FIRE HERE? — Just click on “Sponsor/Donate” in the top menu (to use PayPal or a credit card), or if you prefer, send a check payable to Team Expansion to: Team Expansion (Brigada secretary), 13711 Willow Reed Dr., Louisville, KY 40299. (Team Expansion is a 501(c)3 incorporation so for USA citizens, your checks made out to Team Expansion are tax- deductible.) As always, be sure to let us know if you’d like us to promote any particular service or ministry, or if you’d prefer your gift be anonymous. And thank you in advance for helping. *** Playing for the worship band at my local church (keyboard, piano, and today, bass guitar) and finally..
*** “M&Ms” (I have dispensers on my desk at the office, at home, & in my truck). Whenever I feel myself needing a lift — Oxygen pills, as I used to call them with my kids — I’ll take 2 M&Ms and forge on. How ’bout you? What’s your M&M — by that I mean some kind of diversion that can lift your spirits, provide a release from work-aholism, and add some spice to your life. It might be your family, going out to eat, hiking, running, bike riding, puzzles, video games, even Risk! :-) Whatever it is, enjoy it in moderation and my hunch is you’ll be a happier camper. What’s more, you’ll probably work harder I the remaining hours too. So reach for the M&Ms this week… and have some fun. Make it a great week! WANT TO KNOW THE TOP 3 CRITICAL ISSUES? AMAZINGMAIL TURNS OUT, WELL,… AMAZING MAIL! SEARCHING FOR A PAST ITEM IN BRIGADA? THE BACKPAGE: WHAT’S YOUR WISH-FOR-2007? IT TRULY IS A WONDERFUL BRIGADA-LIFE — Thanks to gifts from an anonymous Virginia participant ($250), another from Oregon ($100), Salem Alliance Church from Salem, OR ($100), a medical missionary in Tanzania ($200), $50 from another employee at Johnson Bible College ($50 — that’s two employees in as many weeks! ), a worker in Germany ($50), another in Richmond, VA ($50), yet another from Rockville, MD ($50), a servant with www.christiansincrisis.net and finally, Roland Muller of Roland Muller Books, rmuller.com ($100 gift). That takes us from our previous base, as reported last edition, of $11,054.74 to $12,054.74. ONLY FIVE DAYS LEFT TO REACH OUR 2006 NEEDS: $16,650 — Gulp. Please note… one of our partners mentioned this past week that he wished it would be possible to donate without registering for a PayPal account. Your wish is our command. We have now configured the donations site so you no longer need PayPal. You can now pay directly (simply, and quickly) with any major credit card. Just click on “Sponsor/Donate” in the top menu (to use PayPal or a credit card), or if you prefer, send a check payable to Team Expansion to: Team Expansion (Brigada secretary), 13711 Willow Reed Dr., Louisville, KY 40299. (Team Expansion is a 501(c)3 incorporation so for USA citizens, your checks made out to Team Expansion are tax- deductible.) As always, be sure to let us know if you’d like us to promote any particular service or ministry, or if you’d prefer your gift be anonymous. to download the ISO, burn it to a CD and boot from that CD for a simple, yet complete OS and office solution. You can save settings to a USB drive, or install the whole thing on a 64MB USB drive, if your computer can boot from a USB drive. It’s even possible to access files from a “dead” hard drive through Puppy Linux – so burn a Puppy Linux CD and keep it nearby. Who needs a hard drive anyhow? Important note: This strategy is like fire extinguishers and bug-out bags. It works best if you prepare things *before* the disaster. Where he uploaded his picture, uploaded the email list, then amazingmail.com did the rest. They print your postcards (quality job, too; very attractive) then mail them out for you complete with postage. All that’s left for you to do is … sit back and enjoy whatever other 65 things you have to do today. Seriously folks… this is a fantastic deal for someone in a sensitive country with a good VPN. Try it out… AmazingMail.com. aquacultureint(at)yahoo(dot)com “(As a means of preventing spam for our contributors, in the preceding email address, please replace (at) with @ and (dot) with .)”. Also see the next item. NOT TOO LATE TO HELP BRIGADA OR GET INSURED FOR SHORT-TERM TRIPS! http://www.chalmers.org and click on the Limuru, Kenya link located under the Christian Economic Development Institute heading. to interact with the authors, schedule speaking engagements and purchase the book. Just think — the more secure you become, the more you help Brigada! THE BACKPAGE: SPEAK TO THE HEAD MAN — Most of us have watched enough missionary movies to know the importance of checking in with the “head man” in a village, prior to trying to start any work there. The same principle applies in our daily jobs. And the funny thing is — in a weird sort of way — I believe it applies in both directions across the organizational chart. See if you agree. I serve as the president of an agency with just over 300 full-time missionary workers. It’s set up in such a way that I coach just 4 workers (heads of departments). They, in turn, lead sub-team leaders in their respective divisions. If a sub-team *member* on one of those sub- teams comes directly to me with an issue… say… regarding a sub-team leader, I have a choice: I can a) try to fix it by going to the department head that I coach, b) try to fix it by going directly to the sub-team leader, or c) briefly mentor the sub-team member on how to fix it solo. The correct answer? You probably already guessed: I believe it is “c”. I have to apply the “go to the head man” rule — in reverse. I have to mentor that worker on the importance of going one-on-one with the sub-team leader to work out the issue. Then I let the process take its course and trust the respective leader to work it out. Imagine… if I go to the department head (the one that I coach), he first of all feels a bit embarrassed and ashamed that I became involved in an issue in his department — one of which he probably wasn’t even aware. But what’s worse, he now has to go to his sub-team leader and explain that this issue came to the president’s desk. He has to ask all about it . . . and the wild thing is… maybe the sub-team leader didn’t even *know* about it. So now the sub-team leader is mad at the sub-team member and all this is in *addition* to the original presenting issue. By this time, perhaps the *process* has become bigger than the original issue. By now the problem is bigger than life because people have emailed and met and phoned and… well you get the picture. So I’m convinced, after having made more than my share of errors on this part of the game plan… I have to say to the sub-team member, “Have you discussed this issue with your sub-team leader?” If the answer is, “Well … no.,” then my answer has to be, “Well trust me — that’s where this needs to start. If, after sharing it with your sub- team leader, you feel you can’t work it out, then explain to your sub- team leader that you’d love a chance to talk it through with your department’s head, with the sub-team leader present. If you still can’t resolve things, ask them if we can all meet — the four of us. Until you’ve taken those steps, trust me … you don’t want me to barge in like gangbusters to try to fix this.” Does this process sound familiar? I have found that it functions equally as well in the workplace as it does in Matthew 18:15-17. True — the passage deals with sin. But in everyday management and problem-solving, I have found it to function well in teams. Next week… what to do if the problem is with someone in a different department or team. NEED A RESOURCE TO MENTOR OTHERS? NEW RESOURCE ON BIBLE STORYING AMONG ORAL LEARNERS! and click on “links” to see some of the sites they have developed. Special Offer: For each site built for a Brigada subscriber, MullinsMedia will make a $20 donation to support the great work of Brigada! FREE CALLS OVER VOIP — Call free to over 40 destinations. No catch, no setup fee, no special equipment needed, just a microphone -and headphones if possible – and your computer with broadband connection. (Dialup is possible too, but quality can be low.) Open an account with €10 and calls to landlines in over 40 destinations are free, and very low-rate calls to others. The same company operates under two names – with a few different free countries on each, so check each out before deciding which to go with. DISK DRIVE RESURRECTION SERVICE NEEDED — Here’s a Brigada participant named Mic from Operation Mobilization (OM) reporting that a disk drive on his office computer died that supposedly contained only “back-up data”, when in fact, it had some important files that were not stored anywhere else. He says his friendly technician took the drive out and put it another system and tried to read it but it just “clicks” and fails to read. He’s checked with some data recovery specialist who can take the “platter” out of this drive and install it in another drive and copy the data onto CDs – the cost? ($1200 – $2500 depending upon size, GULP!). He’s wondering if anyone knows of another way. Mic, all I can tell you is that, having suffered the same malady about 2 years ago, I paid to have an analysis done from my laptop drive, only to be told, in the end, that the data were unreadable anyway. So the sidebar comment for the rest of our Brigada family is — we have to learn to back up these drives. After my own failure, which temporarily set me back *months*, I purchased a Maxtor “one-touch” external hard drive and, I’m happy to tell you, having been a fellow-struggler, I now back up my entire hard drive every night. (‘Course, if my house burns down, I’m still out of luck if both units are stored in the same fire! :-( ) But enough of the prevention — can anyone help Mic with a cure? I don’t think there are any out there, but if you have an idea, write him directly at: mister_mic_323(at)hotmail(dot)com [As a means of preventing spam for our contributors, in the preceding email address(es), please replace (at) with @ and (dot) with .] Mic, if you come up with a solution, please drop us a line reporting how it worked. Best of luck. Now, suggestion: go order your external back-up for the next time. I did this prayer and it’s really well done. Hats off to those who are making it possible. http://www.icmcanada.org or by writing icmcanada(at)cs(dot)com [As a means of preventing spam for our contributors, in the preceding email address(es), please replace (at) with @ and (dot) with .] The Introduction can be downloaded for free from the Website. It is also available as pdf in German & Russian and later this year French and Spanish. THANKSGIVING FOR PARTNERS — Our hats go off to those who make our work possible, for example, the Fellowship of Believers in Sarasota, FL, who pitched in $30 this past week. Want to help Brigada spread the news about missions resources, unreached peoples, and outreach conferences all around the world? Just click on “sponsor” in the top menu (to use PayPal or a credit card), or if you prefer, send a check payable to Team Expansion to: Team Expansion (Brigada secretary), 13711 Willow Reed Dr., Louisville, KY 40299. As always, be sure to let us know if you’d like us to promote any particular service or ministry, or if you’d prefer your gift be anonymous. In any case, thanks for considering Brigada in your estate giving, your monthly church missions fund, and/or your own personal giving for this calendar year. THE BACKPAGE: GREAT TEAMS MAKE GOOD TEAMS LOOK BAD — Well if you’ve been monitoring World Cup news, you know that most commentators are saying some pretty hideous things about the USA’s opening game against Czech Republic. I heard one observer say the USA looked “flat”. That was probably the nicest way of saying it. Another said we looked “awful”, and others have used even dicier terms. But I’d just like to point out . . . Czech Republic is a great soccer team. Sometimes it’s important to see things in perspective. If we had been playing against a lesser side, maybe we would have come out on the field with more confidence, charisma, creativity, and success . . . and maybe our same tactics would have turned out to be more effective. The same thing happens in missions. The team in Latin America reports amazing success. Hundreds of baptisms, a dozen new church plants, and lots of great stories. Meanwhile the team in North Africa works for 30 years with only 2 converts. Before long, some church in Georgia is rethinking their support so they’ll get better “return on the investment” (ROI) of missions dollars. It’s beyond Receptivity/Resistance ratios. Sometimes it can’t even be charted in any tangible sense. So what do we do? Do we pull those workers home? … or transfer them to a different field? I don’t think so . . . any more than we would want our National Team to quit the World Cup. We keep on competing… adjusting our strategy wherever necessary, subbing players in and out to keep them fresh, and investing in better training & evaluation. But in the end, we realize — we can’t ask Landon Donovan to do better than his best. And if McBride doesn’t get the ball, there’s not a whole lot he can do. Likewise, in the world of missions, my take is — we keep investing energy in playing on tough turf. We don’t quit, just because the opponent is strong. I told my sons this morning, “I’m not so sure I would have said the things that Bruce Arena said. The critical question is — did these players give it their all.” If they did, I’m not sure *any* of us should be so quick to pass judgment. Unfortunately, their next game will be against Italy. Likewise, Italy will be a tough challenge too. Let’s hope the USA guys will put forth a better outing, but if they don’t, I’ll still be backing them just the same. Because hey… it’s not easy going up against tougher sides. GOT BROADBAND? GET GREAT RATES! THE BACKPAGE: HAPPY NEW YEAR! ENCOUNTERING THE WORLD OF ISLAM — This course, formerly known as Perspectives on the World of Islam, is coming to San Diego, California, January 26, 2006 – April 20, 2006. For more information about the classes see http://www.EncounteringIslam.org To sign up or to get answers write ewiofsd yahoo com or call Ben (619) 583-0950 in the USA. TAKE IN AN ALL-AFRICA CONFERENCE — Tentmakers International Exchange is organizing on August 16th-19th 2007 the “All Africa Conference.” The theme is: The Way to African Nations. The venue will be the Grand Seminar Saint-Augustine, Samaya, Bamako, Mali, West Africa. This conference is designed to develop tentmaker strategies of mission in Africa, and to train lay people to share their faith in the context of their professions/trades. For more information, contact Tiowa partnerspmgm(at)yahoo(dot)com [As a means of preventing spam for our contributors, in the preceding email address(es), please replace (at) with @ and (dot) with .] Main speakers include Dr Derek Christensen, (TIE International Director) and many others. Reserve your spot with a deposit of just 5 euros if you reserve in 2006. (Four days full board will cost just 35 euros.) If possible, reserve through your national TIE contact person. TO GOD BE THE GLORY (THE NORTHERN CAPE COLOURED) — In early 2004, you began praying for the Northern Cape Coloured, an unengaged people. You prayed that men, women and children would have the opportunity to hear the Good News of Jesus Christ. You also prayed for the Lord to send Christian workers who would live among these people, demonstrating the love of Christ in their daily lives. God has answered your prayers! Now there are eight missionaries working and living in the Northern Cape (of Northwest South Africa) and who are part of the Northern Cape Evangelism Team. Let us praise God and thank Him for answering these prayers! Praise God that the Northern Cape Coloured are no longer an unengaged people! Enter 2006 with expectancy as God’s Word is proclaimed throughout the Northern Cape! Contact http://www.forgottenpeoples.info or the new email sf_swac(at)altonet(dot)co(dot)za to find out more about Forgotten Peoples. SHORT-TERMERS NEED TO REACH OUT TO HURRICANE STAN SURVIVORS — Two months after the storm, most of the relief agencies have gone home for the holidays never to return to Guatemala. Porch de Salomon (see http://www.porchdesalomon.org ) has shifted its focus to relief work and house-building and is recruiting teams for the 2006 calendar year. If you would be interested in helping the thousands of homeless and hungry storm victims in the Atitlan Basin, the hardest hit area of Guatemala, drop Bill a line at bill(at)porchdesalomon.org They can use medical,/dental, construction, evangelical, youth, and Bible School teams of 12 to 20 members. For some photos of the destruction see: http://www.pananight.com/tormenta_stan_Album.html Also check out the newsletters on their website above for examples of the work their teams have been doing. THE BACKPAGE: HAPPY NEW YEAR! — As we all begin this new year, I can’t help but wonder — what new habits will we all form. I have this friend and co-worker … His name is Eric… and recently he’s *reeeally* been into this mode of forming good habits. For example, every morning for the past 22 mornings, he’s gotten up early to re- write (remember ink pens?) his entire year’s goals, one line at a time. (OK… so he only writes the broad strokes, but still, it’s a whole page of stuff.) He says it’s really helping him keep his long-range goals in mind. So how ’bout you. What habits are you going to form in 2006? Whatever they are, let’s all try to live each moment for the Lord. And may God bless us every one. 6. KNOW OF A DORMANT USA NONPROFIT? 9. WE APPRECIATE THOSE WHO PARTNER WITH US — Though we’re always glad to run items for any ministry or individual, we definitely appreciate those who partner with us to sponsor and undergird the work of Brigada for now and in the future. Thanks to the anonymous friend who sent $50 this past week. If you’d like to pitch in toward our future just click “sponsor” (to use PayPal or a credit card), or just send a check payable to Team Expansion to: Team Expansion (Brigada secretary), 13711 Willow Reed Dr., Louisville, KY 40299. As always, be sure to let us know if you’d like us to promote any particular service or ministry, or if you’d prefer your gift be anonymous. Thanks for any support you can give. 5. LET’S PRAYERFULLY LEARN ABOUT THE MUSLIM WORLD! 10. HAVE SOMEONE SEARCH THE WEB FOR YOU! 12. LOOKING FOR CONTACT INFORMATION ABOUT THAT CHINA OPPORTUNITY? 3. GO EQUIPPED (TENTMAKER TRAINING) — Here’s an organization that offers courses that are just 5 days long but contain an entire 2 week curriculum. Global Opportunities has increased their training programs in both numbers and locations. There is still time to register for the October 12-17, 2005 LTN Tentmaking Course in Pasadena CA at the US Center for World Mission. See them on the web at http://www.globalopps.org or write them an email at goequipped(at)globalopps(dot)org. 8. FEEDBACK ON GOOGLE “GMAIL” — We continue to receive lots of responses to our items on Google’s “Gmail”. Frankly, judging by the passion of some of our readers, there must be something to this Gmail craze. (I think I’m going to have to check it out myself! :-) ) Perhaps one of the more studied responses was that of Justin: “While it is true that it’s difficult to secure gmail, its not impossible. First off, once you have logged in to gmail.com, then you can go to https://mail.gmail.com/mail/ (just adding the “s” after http) and the server will preserve the secure link for all of your connections thereafter. Granted that initial blast through is unsecure. One way to deal with this is to login, then once you see the “Loading” immediately close the browser, then reopen and go to the secure link. Once you’ve logged in, its a long time before your logged out anyway. 9. TO THOSE WHO PARTICIPATED IN THE SURVEY ON FOLLOWERSHIP: THANKS — Thanks once more to the 358 people who took part in the survey on followership, and to the 283 corresponding supervisors who came alongside to give comments on their respective team members. Last week I met with the Dean of my doctoral program and received the go ahead to begin the data analysis phase of the project. Again, this kind of project would have been impossible without the many great friends here at Brigada. These participants came from 192 different nonprofit organizations scattered literally all over the world. The survey instrument has been used previously on corporations in the public sector, but this is the first time its been employed to this extent among nonprofit mission agencies, humanitarian organizations, and churches. [Note: One interested reader recently wrote (postal mail) for more information about the project but neglected to enclose a return address. We’ll be happy to send more information it he or she will simply let us know where to send it.] Thanks again for your help and participation. Now to the number-crunching. 10. HAVE SOMEONE SEARCH THE WEB FOR YOU! — A site http://www.internetmissionsresearch.com was recently launched which proposes to do research for missionaries. This is in response to the growing amount of information on the web which is not searchable by ordinary search engines. This so called “deep web” contains up to 500 times as much information as the “surface” web. Primary documents, such as journal articles can often be found only by querying their respective databases one by one. It is hoped that providing a human powered search facility for missionaries will enable them to spend less time searching for and more time with quality materials. For more information see the website or contact Clarence at cbos(at)execulink(dot)com. [As a means of preventing spam for our contributors, in the preceding email address(es), please replace (at) with @ and (dot) with .] This is a volunteer service and “space” is limited, so please be patient if requesting a search. 11. RETREAT IN AFRICA — Check out http://www.limpopo-lipadi.com for a reportedly excellent opportunity to acquire shares in a 32000ha Game Reserve in Botswana… Churches, individuals or companies can buy shares in this untouched, untamed, malaria-free part of Africa (about 450km northwest of Johannesburg, South Africa)… Since it is 100km from the nearest town… and has its own conference facilities… it makes for a wonderful retreat venue… church group break-away… or missionary resting place… For more information email jacques(dot)debruin(at)gmail(dot)com and ask Jacques any questions about the Reserve or go to http://www.limpopo-lipadi.com/contactus.asp and complete the form (tick “Jacques de Bruin” in the “Referred by” field as reference). 12. LOOKING FOR CONTACT INFORMATION ABOUT THAT CHINA OPPORTUNITY? — Oops. The original item didn’t contain the contact information (“GREAT COMMISSION COMPANY OPPORTUNITIES IN BEIJING” in last week’s Brigada Today). For this and other issues that come up following the initial publication of a Brigada Today, you can always go to the web edition to see if the contact information (or other edit) has been added/edited there. We posted this contact within a few short hours of the initial emailing of last week’s issue. And in fact, for any current issue of Brigada, just click to: http://www.brigada.org and in the first paragraph of text, find a link or two to the current issue. 14. WE’RE GRATEFUL FOR THE HELP AND SPONSORSHIPS — Thanks to the anonymous donor who gave $25, and to Dial-Abroad, which sponsored us with a $129 gift as a result of those who use Dial-Abroad’s service in July. (To learn more, visit: http://www.brigada.org/phone.html and choose “Dial-Abroad”. In addition, thanks to Andy for sending $10 and his encouraging note, ” Thank you for your efforts in getting our website out to other Missionary organizations and Missionary families via your Brigada Today newsletter. We have gained several new customers because of this. May the Lord continue to bless you and your Missionary news organization.” Learn more about Andy’s company, C Y Technologies Inc, by clicking to: http://www.global-airtime.com or by dialing 888-683-0653 in the USA, toll-free. This weeks’s gifts put us over the $8000 mark for 2005, a tremendous victory and a great milestone on our way to the goal of $16,576. We’re almost halfway there. Would you be able to make it official by providing that last $300 to bring us to 50%? If so, just click “sponsor” in the top menu (to use PayPal or a credit card), or just send a check payable to Team Expansion to: Team Expansion (Brigada secretary), 13711 Willow Reed Dr., Louisville, KY 40299. As always, be sure to let us know if you’d like us to promote any particular service or ministry, or if you’d prefer your gift be anonymous. If you *do* know of someone who might help with these expenses, please feel free to relay this update to them. And thanks for any support you can give.